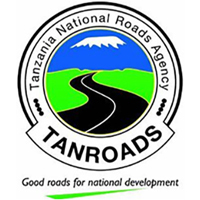 The Tanzania National Roads Agency (TANROADS) is an Executive Agency under the Ministry of Works, Transport and Communications, established under section 3(1) of the Executive Agencies Act (Cap 245) and came into operation in July, 2000. The Agency is responsible for the maintenance and development of the trunk and regional road network in Tanzania Mainland Classified Road Network The total classified road network in Tanzania Mainland is estimated to be 86,472 km based on the Road Act 2007. The Ministry of Works through TANROADS is managing the National road network of about 33,891 km comprising 12,786 km of Trunk and 21,105 km of Regional roads. Its vision is to have sustainable, safe and environmentally friendly all weather Trunk and Regional road network to support the social economic development of Tanzania.